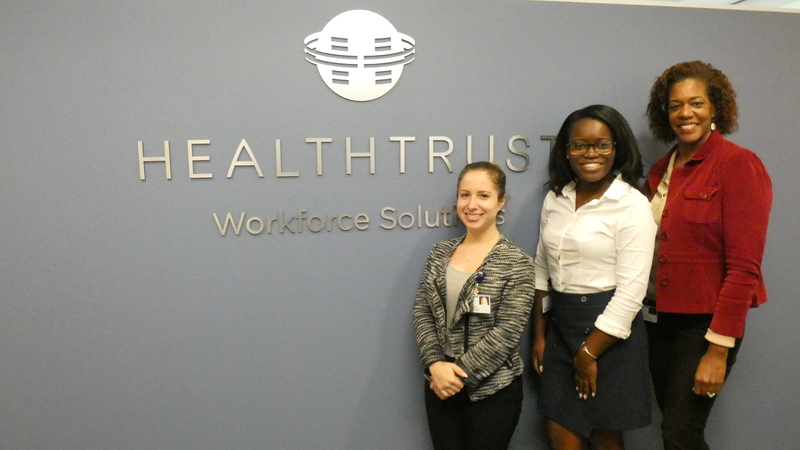 Cassandra joined the HealthTrust team in September of 2017. In her role, she is responsible for sourcing and identifying quality and committed nurses to provide patient care at our HCA facilities nationwide. Throughout the week it is her job to work with each nurse to get them through the onboarding process and get them to work as quickly as possible. “The best part of my job is knowing that I am a part of a team that is helping to make a difference when it comes to patient care and satisfaction,” says Cassandra about her role. Outside of the office, Cassandra enjoys traveling, shopping, visiting new restaurants and relaxing. Teresa began her journey here at HealthTrust in August of 2015. Teresa’s job is to fill permanent clinical jobs for healthcare facilities across the country. Not only does her job require to make placements, but to build and attain relationships with her clients as well as perm placement partners who help support the fulfillment of these jobs. When she’s not working, Teresa enjoys spending her time interior decorating her own home and keeping her home feeling modern and fresh. Jennifer came on board in the fall of 2016. Jennifer’s role is to oversee the remote contract recruiting team that work for HCA Human Resources group. Her role also requires sourcing, recruiting, onboarding, payroll and reporting. “The best part of my job is having the ability to connect with people all across the United States. Since my team is remote, I speak to people in a variety of locations which keeps it interesting,” says Jennifer about her team. In her spare time, Jennifer enjoys taking spontaneous road trips, going to the beach and spending time with her loved ones.